Cronos Steampunk cat mask is hand painted and accented with clock and gears. The mask is made of a durable non bendable PVC and has a working clock. 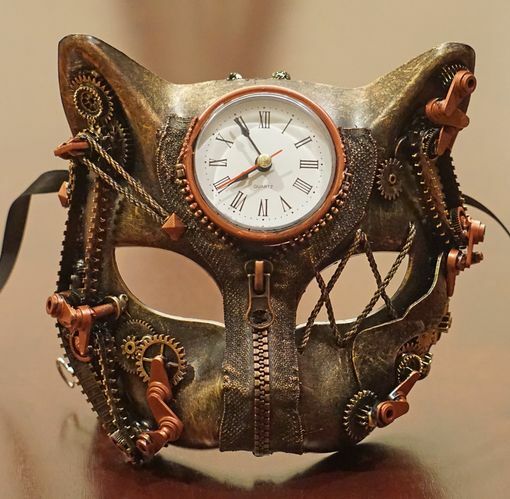 This steampunk mask is available in gold, silver ,and copper. Mask comes with black ribbon ties.